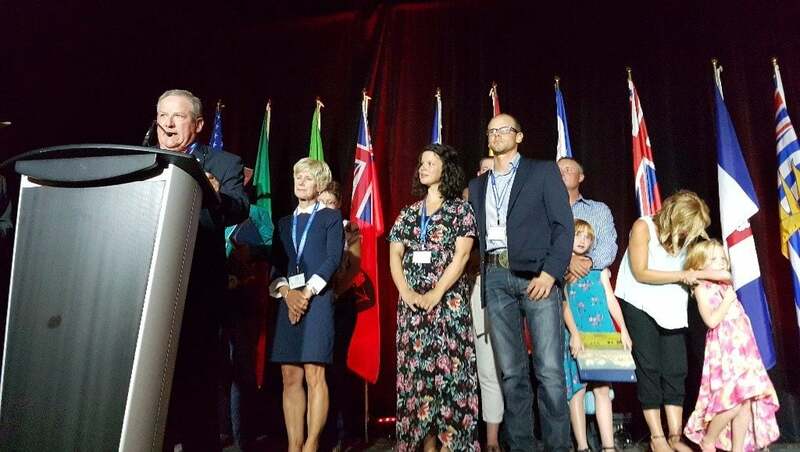 The Canadian Cattlemen’s Association (CCA) is pleased to announce The David Francis Farm, of Lady Fane, Prince Edward Island (PEI) as the recipient of the 2017 The Environmental Stewardship Award (TESA). The seventh-generation farm is operated by father and son team David and Brett Francis and families. Soil conservation remains a primary focus at the potato and 80 cow-calf beef operation, with David and his wife, Vicki Francis, and their five children, having made continual improvements to the land during nearly four decades of farming. They have installed thousands of feet of soil conservation features, while respecting the land they farm and the natural environment surrounding their designated Century Farm. CCA Environment Committee Chair Bob Lowe said the David Francis Farm’s longstanding commitment to soil conservation, reflected in investments in sustainable agriculture practices and modern technology to ensure a sustainable farm for generations to come, is what earned the Francis families the 2017 TESA.